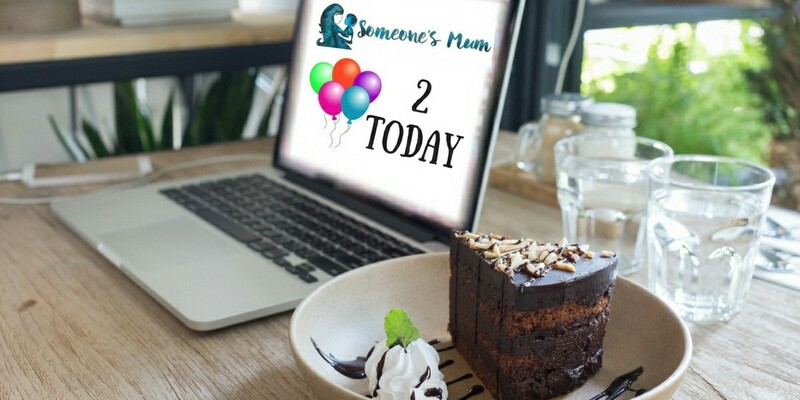 Someone’s Mum turns two years old today. It is hard to put into words the impact that those two years have had on me. I have given up my career of a decade, learned new skills, met new friends and found a new career that I am passionate about. I love almost everything about blogging – the writing, the creativity, the way it inspires me to try new things and improve. I love being able to stay in my own home, look after my children when they are poorly, take my son to his appointments. I love being my own boss. I love learning about photography. I love buying and mastering new gadgets. I love being able to give my family treats that we would otherwise never afford. There are challenges. Working from home is never easy, especially when work needs to be done in a very short space of time. Mum guilt is still a constant companion – but I think that all parents will always feel that to some extent. It is also fun to look back over what I have achieved over the last two years. Of course, these numbers only reveal a tiny part of that. I cannot record the messages I have received here, because they are not mine to make public. But if I have made one person feel less alone, if I have helped one person understand a little more, helped one person with a useful insight or information – then I could not be more happy with what I have achieved. Through blogging I can provide for my family, fulfil my creativity and passion and reach out to people in the autism community. I can make a difference. I am so lucky and so grateful. To the new autism mum who just wants someone to say it will be okay. And there we have it…another year. Wow awesome well done! Amazing stats for 2yrs in 🙂 congratulations on your award too. I just stumbled upon your teaching posts today, as I’m considering leaving my teaching job for at least a year to stay home with my daughter. Like you say in your post, I have felt like a bad mother. I have felt like a bad teacher.. because both are all-consuming. I can’t do both. Thank you so much for writing those posts. I am curious when you find the time to plan, write, photograph, and remain active on social media while you’re home with your children. My daughter is 14 months and I can rarely get anything done while she is awake. Hello Sarah. Thanks for commenting. Mine are a little older so my boy is at school now. My daughter, who is 3 now, has two days at nursery for me to work but I just juggle the rest as best I can. There are a lot of late evenings and I work nearly as hard as I did as a teacher but I am much less anxious as I decide what I do and if I want to do nothing for a bit, I can. Thanks for dropping by.